The Caring Sisters Network in association with Al Quds Foundation SA have embarked on yet another Shoebox for Syria Campaign, providing the community with a simple yet beneficial opportunity to put together a meaningful gift. The aim of the campaign, is to bring smiles to the faces of many during the joyous occasion of Eid ul Fitr. Shoe- boxes are wrapped, decorated and filled with age appropriate gifts and goodies. The age group varies from 3 to 11year olds. The community enthusiastically gets together, decorating beautiful boxes to be gifted. These shoeboxes are a symbol of solidarity and hopefulness. The Eid gifts will not only delight the children who receive it, but also remind them of the thoughtfulness and kindness of mankind.The gift boxes will arrive in time for Eid putting a smile on the faces of these children, giving them moments of happiness amongst the rubble and the destruction that surrounds them. 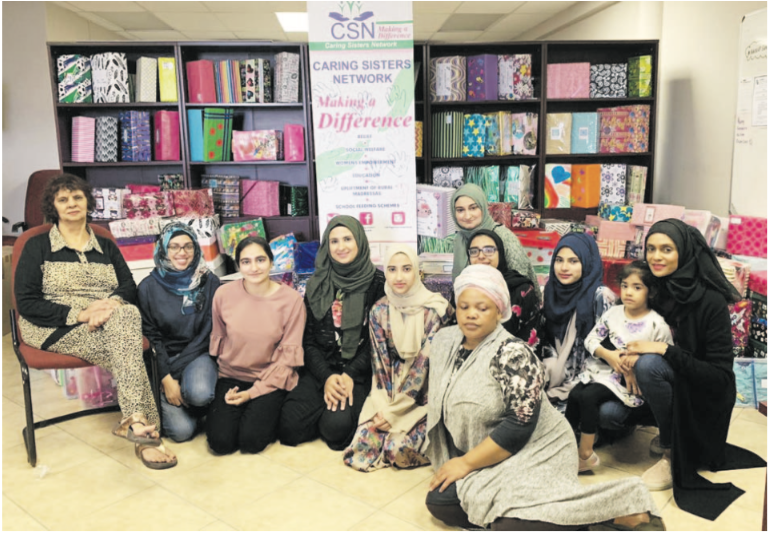 The Caring Sisters Network facilitated the campaign within the KZN region, with seven designated drop of points in Overport, Westville, Verulam, Pietermaritzburg, Port Shepstone, Tongaat and Ladybrand. “Together we have collected over 2000 shoeboxes to be gifted. Syrian children deserve to be happy and have a joyous Eid”, said Yasiera Mahomed Suliman, chairperson of the Caring Sisters Network. Shoeboxes will be handed over to the Al Quds Foundation SA, who will transport these gifts to the children of Syria for Eid ul Fitr.